The Adventures of Super Boomer! Time and time again Super Boomer helps people fight back against joint, muscle and general pain. 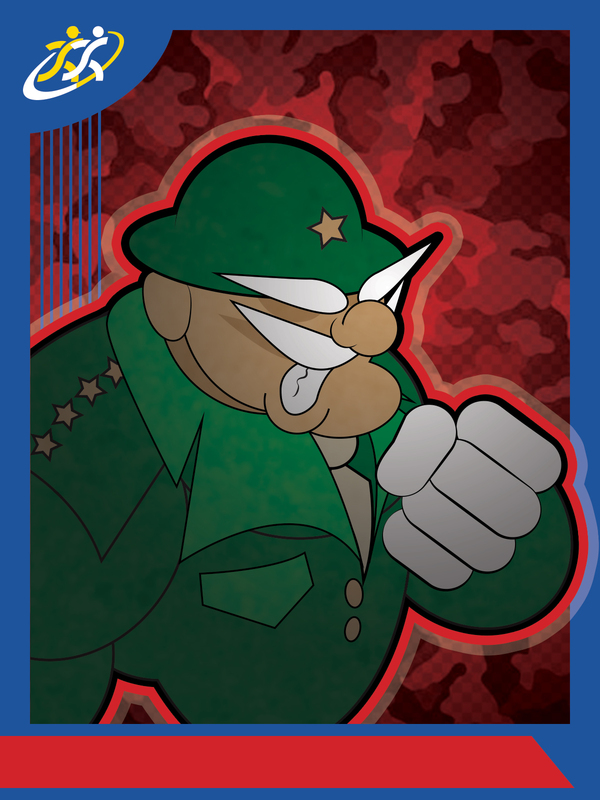 His evil foes from the Legion of Pain (Verigros, Arthrito, Plantor and General Pain) are always on the lurk. At your work, gym, home, in your car… they are everywhere. 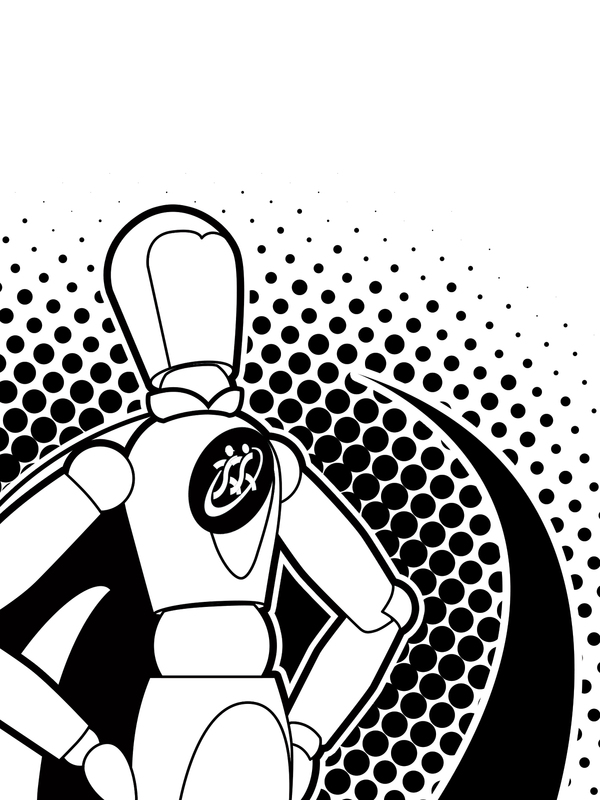 Stay tuned to find out how Super Boomer and Team Kinetic Konnection can help you. Once an average baby boomer, now a SUPER BOOMER. 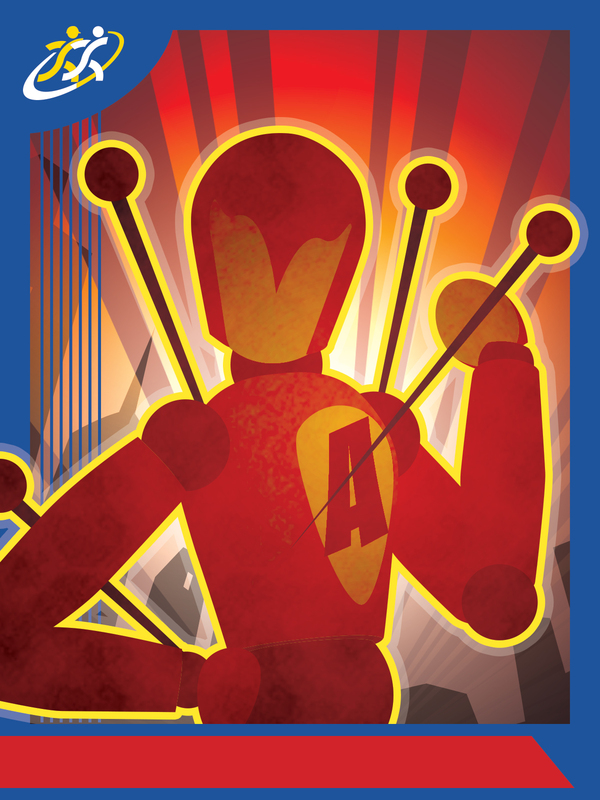 After years of battling arthritis, varicose veins, heel pain and pain in general he developed a special power. He could now see pain. He can see Verigross, Arthrito, Plantor and General Pain. 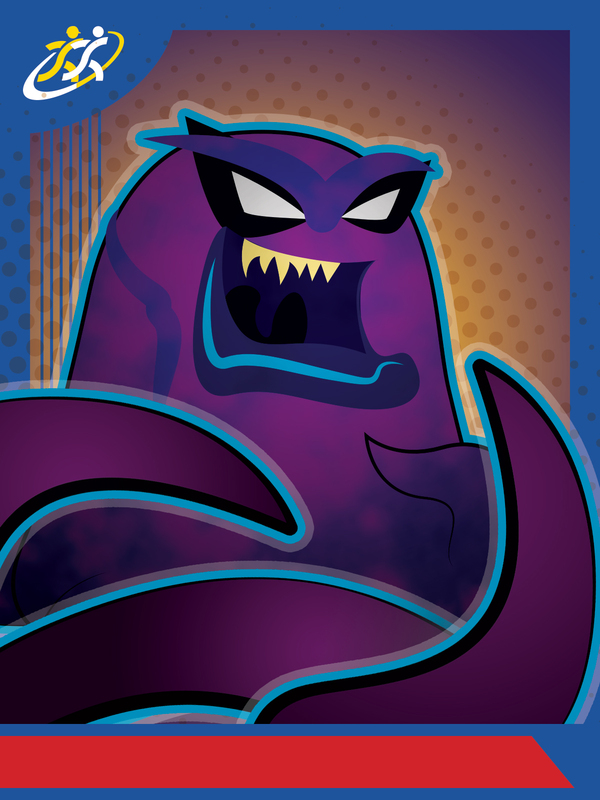 He can see them lurking in the shadows waiting to inflict pain on innocent by-standers. He knows he has to protect you. He has to do something fast, easy and effective. His past has taught him that with the use of bracing, compression socks and Team Kinetic Konnection he can help you reduce pain, recover and prevent further injury. 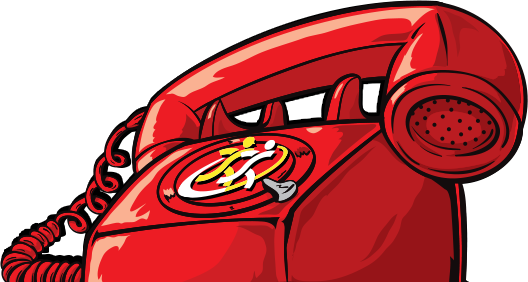 Super Boomer’s power and Kinetic Konnection’s team of knowledgeable and willing people can help you live a life with less pain. 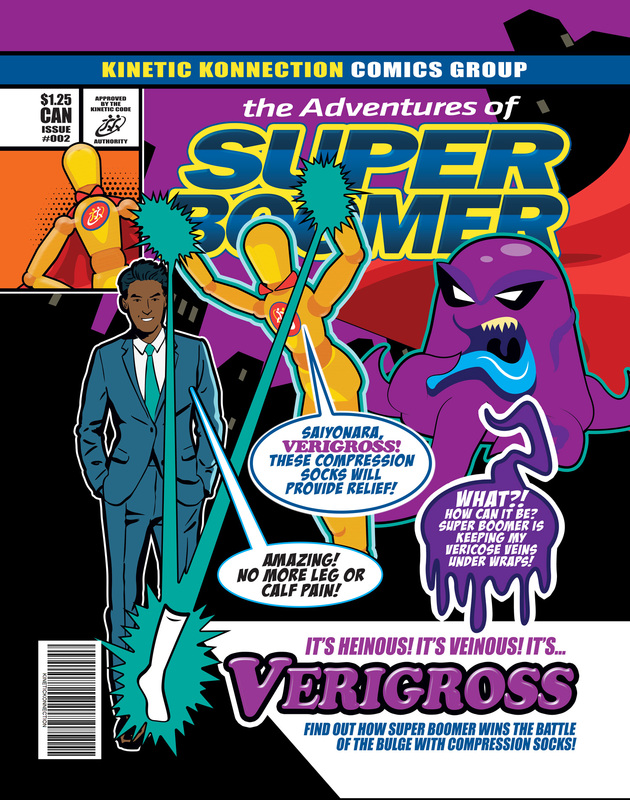 Super Boomer Can Defeat Verigross & his Varicose Veins! 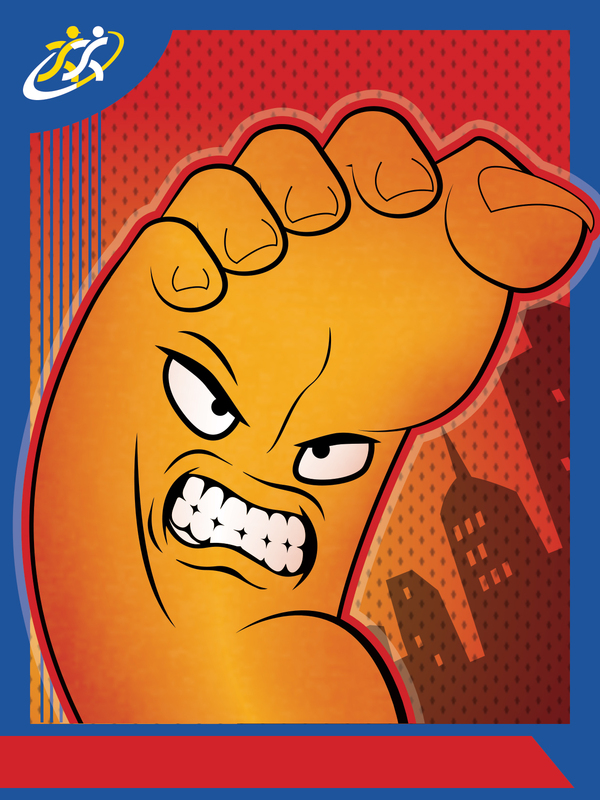 With the Kinetic Konnection Team and their compression socks, verigross doesn't stand a chance! Verigross inflicts leg & calf pain. He loves to wreak havoc on people who sit or stand for hours a day & cause varicose veins. 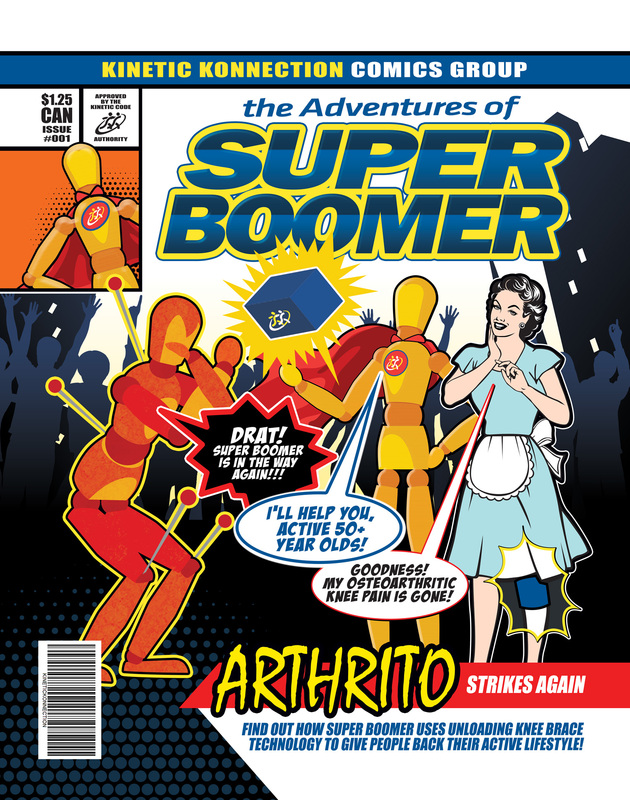 Super Boomer Can Defeat Arthrito & his knee pain! Arthrito inflicts osteoarthritic pain. His specialty is attacking people's knees. 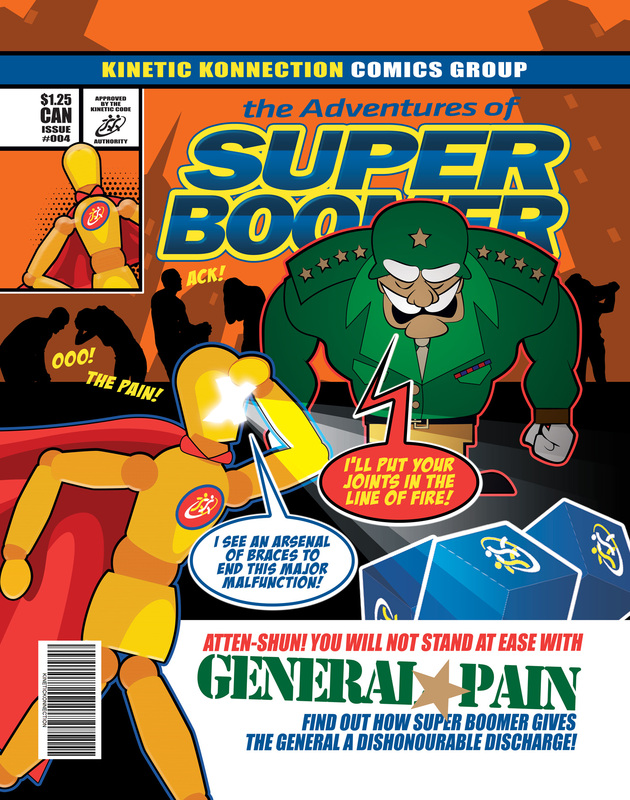 Super Boomer Can Defeat General Pain! With the Kinetic Konnection Team and their braces, splints & supports, General Pain doesn't stand a chance! General pain beats down on muscles, ligaments & tendons. He loves baby boomers & the weekend warrior. 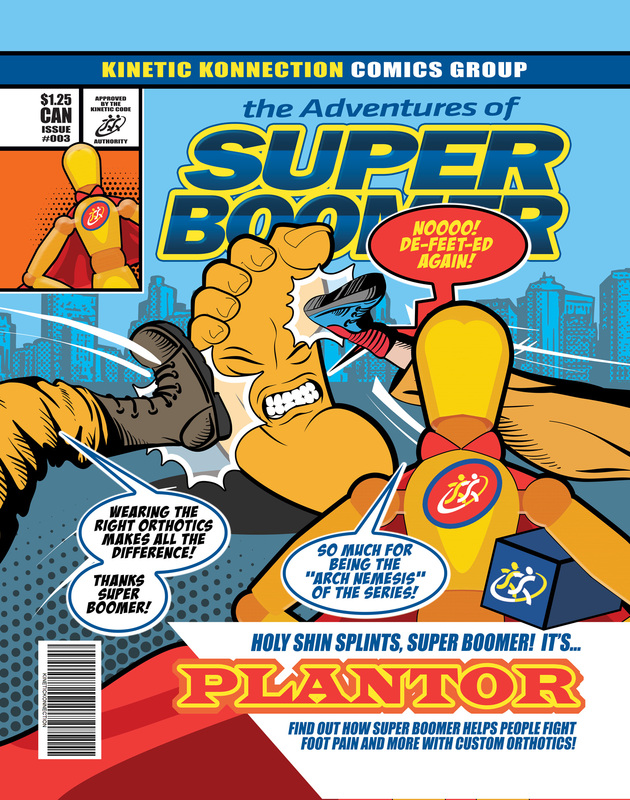 Super Boomer Can Defeat Plantor & his foot pain! With the Kinetic Konnection Team and their insoles, splints & sandals, plantor doesn't stand a chance! Plantor walks all over people with foot pain. His specialty is plantar fasciitis.